You can now buy delicious vegan milkshakes in the UK, made entirely from fruit! Sweet Freedom has launched vegan milkshakes which are made entirely from fruit. Simply stir into cold mylk and enjoy the only 100% natural milkshake makers on the market! Sweet Freedom has just launched two first to market additions to their ‘making healthy taste great’ range; Choc Shake Caramel and Choc Shake Banana. The new milkshakes are so simple to make, simply squeeze or stir a generous squirt of the shake syrups into cold plant milk and stir for a quick, smooth and very chocolatey drink. It also makes a lovely hot chocolate when stirred into warm mylk. Sweet Freedom sweeten all their products with their own Great Taste Award winning ‘Fruit Syrup’ made from 100% fruit and add no refined sugar. 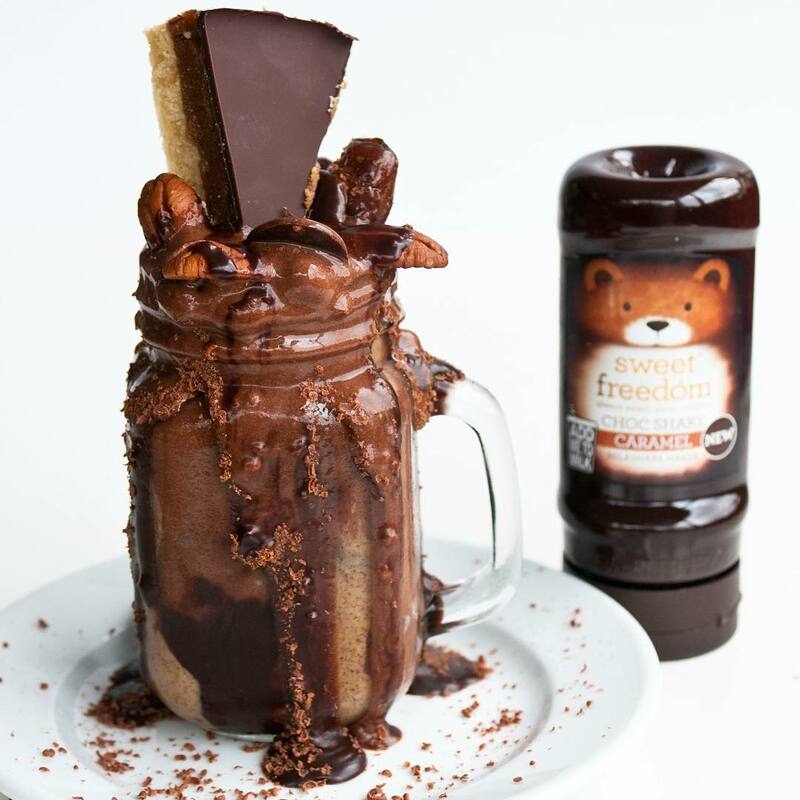 With just five natural ingredients, Sweet Freedom’s Choc Shakes are perfect for those who fancy a sweet treat, without the addition of refined sugars. All Sweet Freedom products are vegan and free from dairy, gluten, soya and GMOs. They are all produced here in the UK with NO chemical processing, NO additives and NO preservatives. 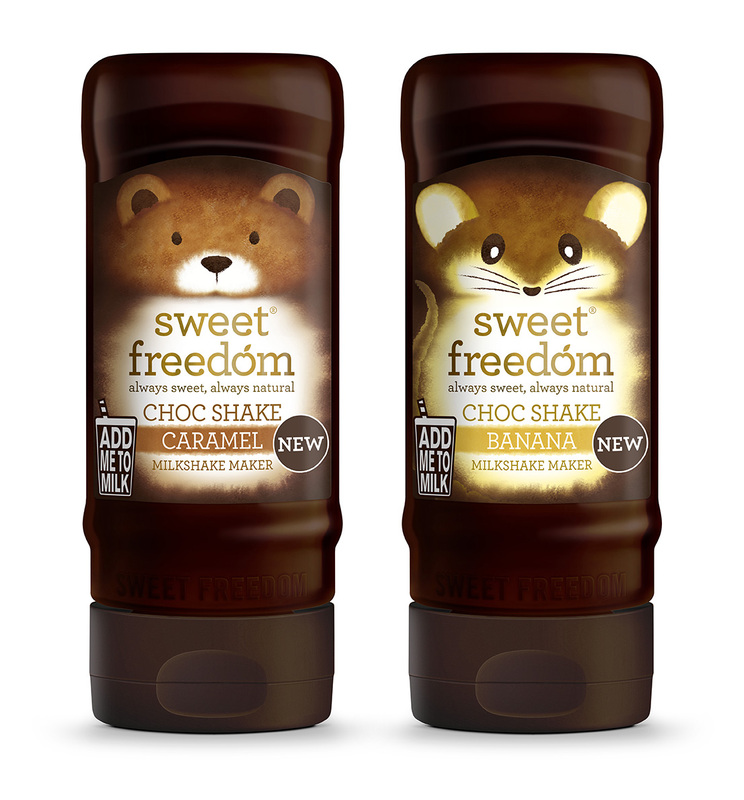 Sweet Freedom Choc Shakes are now available in Sainsbury’s (hot & cold beverages shelf) and Ocado.